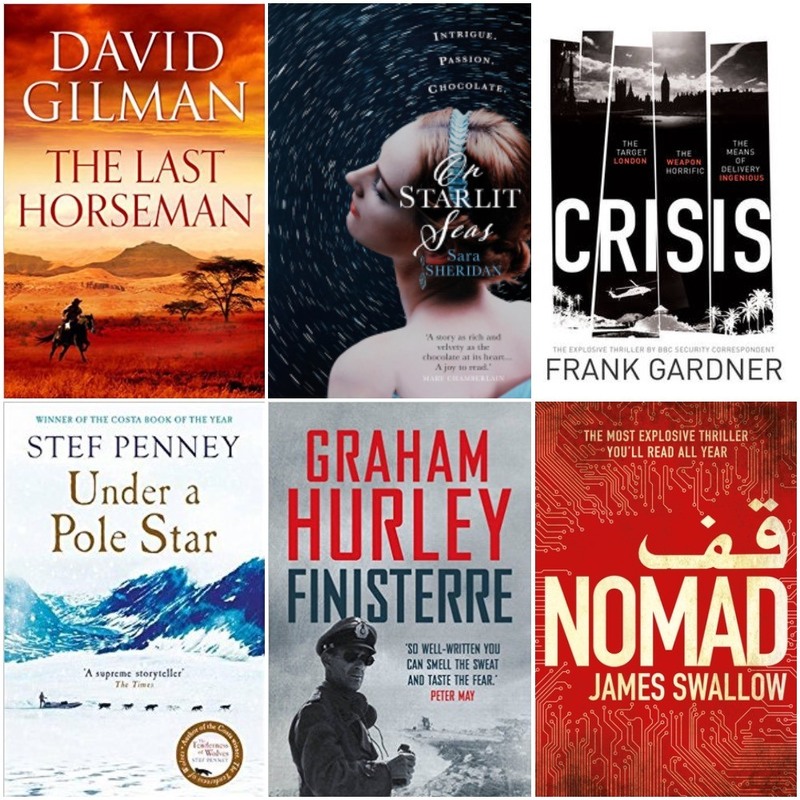 We are delighted to announce the shortlist for the 2017 Wilbur Smith Adventure Writing Prize, published award. The Wilbur Smith Adventure Writing Prize is an annual event celebrating the best adventure novels published in the last calendar year. The Prize is open to writers of any nationality, writing in English. Under guidance from an expert judging panel, the £10,000 first prize will be awarded at a ceremony in September 2017, at London's Royal Geographical Society. The 2017 judging panel comprises Steve Winter, award-winning National Geographic Photographer; Alex Crawford, Special Correspondent at Sky News; Kevin Conroy Scott, Literary Agent of Wilbur Smith at Tibor Jones & Associates; and Corban Addison, best-selling author and winner of the 2016 Wilbur Smith Adventure Writing Prize. “The Prize is the Foundation’s flagship programme. We are delighted to have received such a high standard of submissions, from both established novelists and writers submitting their debut work of fiction. There are many talented adventure authors writing today and they need to be recognised for their outstanding work. The Wilbur Smith Adventure Writing Prize also awards recognition to a writer for the Best Unpublished Manuscript, and to the Author of Tomorrow – a writer aged 21 years and under who has submitted a short piece of adventure writing. The shortlist for the Best Unpublished Manuscript and Author of Tomorrow will be announced in late May. For more information on the shortlisted authors over the coming months, follow The Wilbur and Niso Smith Foundation on Facebook and twitter.